Join us as we celebrate our latest collaboration with the Whitney Museum Shop! In the true spirit of We the People, we have invited She Should Run to lead a non-partisan, free of charge, postcard writing campaign starting at 10:30am in the museum's lobby. Maybe you'd like to send a message of support to someone already in the running, a note of encouragement to someone you think ought to be, or even a gentle reminder to a friend or two to bust a move at their local voting booth on Nov 6th. 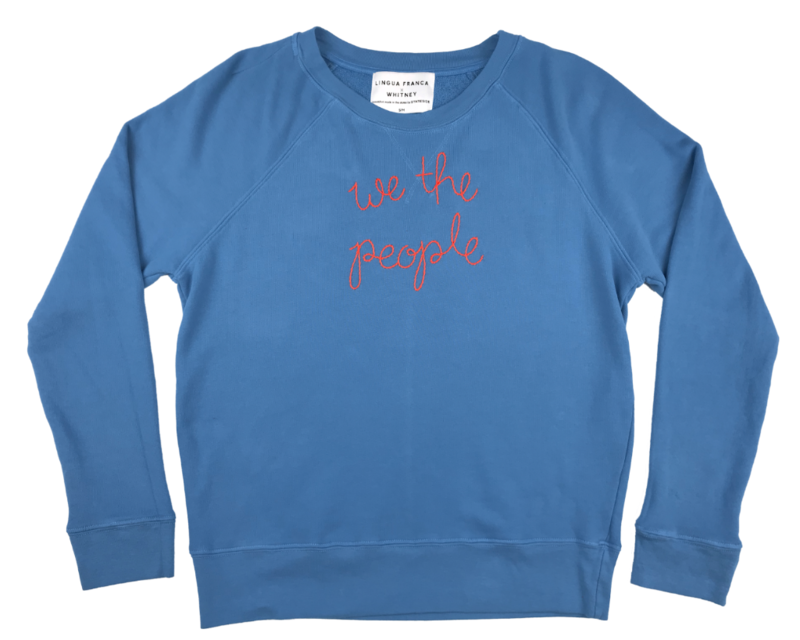 The event also marks the release of our third round of lower priced, hand embroidered sweatshirts from Stateside. These sweatshirts will be available to purchase starting this Friday at 10am online on the Whitney's site, and in person at the Museum. We can't wait to meet you all! The day will end with a cocktail party, from 6:00- 8:00pm in the lobby of The Whitney! Bring your friends, bring your children, bring your address books!